How can your metabolism still be slow when taking supplements that improve it? Taking supplements or drugs orally must go through the digestive system and liver before it can be used by the body; this is called the “First pass system”. The amount of absorption of any substance through the digestive system requires healthy intestinal walls, sufficient digestive enzymes and good intestinal flora (bacteria). Any weakness in these functions and absorption will be decreased. Often only a small percentage of oral supplementation is actually absorbed from the stomach and intestines into the liver, where it must undergo further metabolism before entering the blood stream to be transported to the cells of the body. Alcohol, smoking, medications, chemicals and stress all can affect the liver function impairing the metabolism or bio-availability of nutrients and drugs. There is very little regulation of supplement industry and recently the Attorney General investigated supplements from some of the largest and well known suppliers of supplements in the US and found that 4 out of 5 products tested did not contain the dosage or products on the label. Intramuscular or intravenous injection of drugs and nutrients do not go through the stomach and liver so they by-pass the first pass system. This means delivering specific dosages that are completely absorbed and metabolized giving a faster and stronger result. Compounding pharmacies that make the injectable vitamins and other substances are highly regulated by FDA to ensure safety, quality, strength of ingredients. 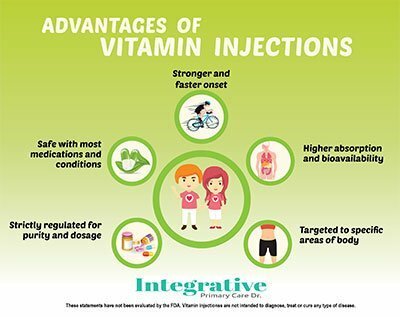 Who can benefit from vitamin shot? Individuals who are having difficulty with losing weight despite eating sensibly and exercising may find the addition of a weekly vitamin shot like LIPO-MAX can reduce weight, decrease carbohydrate cravings, enhance mood, improve memory and concentration. Anybody with indigestion, ulcers, Crohn’s disease, inflammatory bowel disease, celiac disease, diabetes, anemia, gastro-intestinal surgery or over the age of 50 can see marked improvements in energy, sleep and concentration with a Vitamin B12/B6 injection. 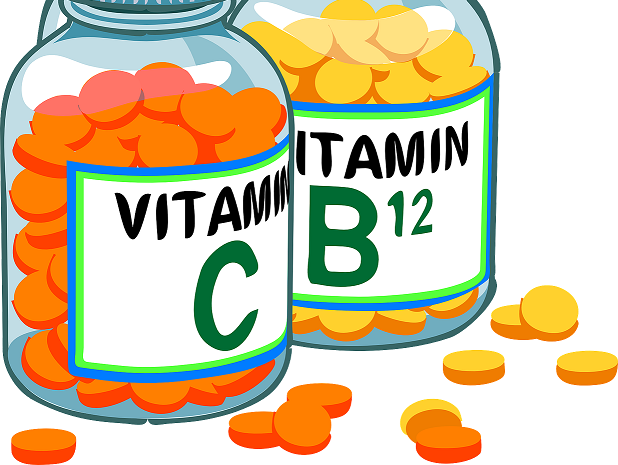 Replenishing essential vitamins and trace elements can improve well-being for those taking antibiotics, metformin, H-2 blockers, birth control pills, antidepressants, heart meds, nicotine and alcohol. 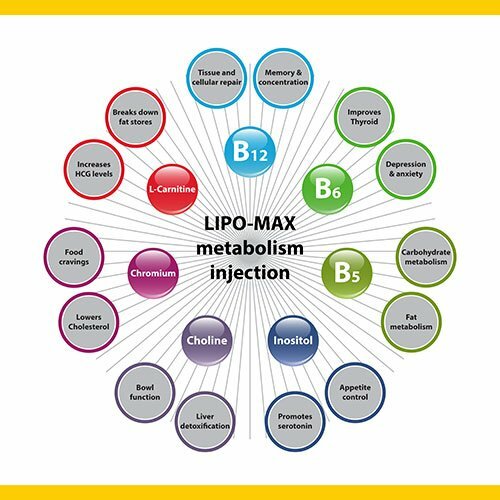 Lipotropic (breakdown fat) injections like LIPO-MAX can be taken for several months to enhance a dietary and exercise plan. There are several combinations available of vitamin, trace elements and amino acids that can be used during times of high physical and mental stress to enhance performance and wellbeing. What about side effects and other medications? Very rarely a headache and frequent bowel motions may occur, due to the detoxifying effect but this is rare and diminishes quickly with hydration. The injections are safe to take with most medical conditions and medications but an initial assessment should be performed by the Doctor administering the injections to identify or discuss any underlying and pathologies that may be occurring. A person with a stomach ulcer can feel great improvements in energy and concentration with B12/B6 injections, but the stomach ulcer still needs to be treated as the B12/B6 will not cure the ulcer. Injections should not be a replacement for medical care.